Next up on our Song-By-Song preview is the official entry from San Marino, “Who We Are” by Jessika featuring Jenifer Brening, written by Mathias Strasser, Zoë Straub, Christof Straub, and Lorenzo Salvatori (music), and Mathias Strasser, Zoë Straub, Christof Straub, Stefan Moessle, Jenifer Brening (lyrics). The song is performed in English. Jessika (last name Muscat) is a well known singer and actress, best known for her role on the Maltese soap Ħbieb u Għedewwa. German-based rapper Brening is a talent show alumni from her country. Jessika has made several attempts to represent her country in previous contests and also in the Junior EuroVision contest, but has not been picked until this year The song will be performed 4th in the competition order on the second semi-final on May 10. I really love the sentiment behind this fun dance number; I wish it were a bit less generic. I love the song’s message – be who you are and don’t let anyone bully you, don’t take any crap – sound advice much of the time. 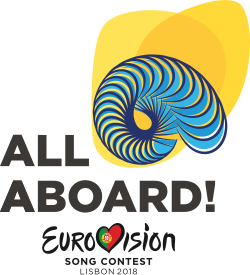 And I LOVE the little robots dancing on the pedestals in the video, The song is well performed, but it sounds too much like other numbers in the competition, although the song could still improve on San Marino’s spotty track record. And it could make an appearance on the American dance charts, but I don’t really think it would go much further than that.